Chrysomya megacephala (Oriental Latrine Fly) ♂. Wow, we had an oriental latrine fly in our kitchen! Those are rare in our area but rather common in the oriental region and Australia. 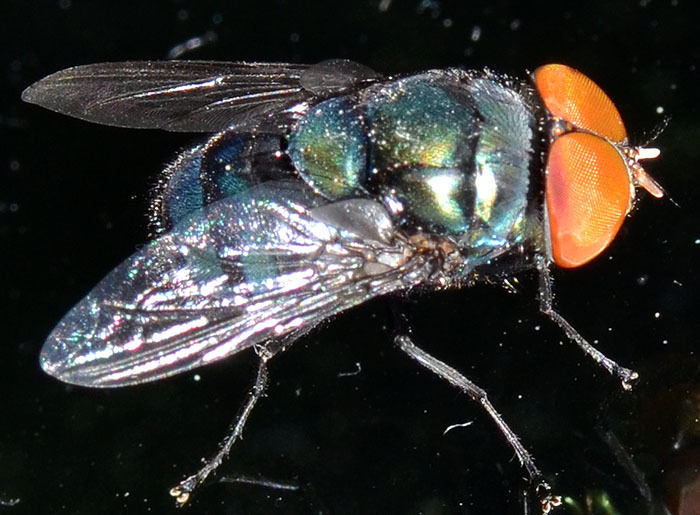 C. megacephala is a warm-weather fly with a greenish-blue metallic box-like body. The fly infests corpses soon after death, making it important to forensic science. 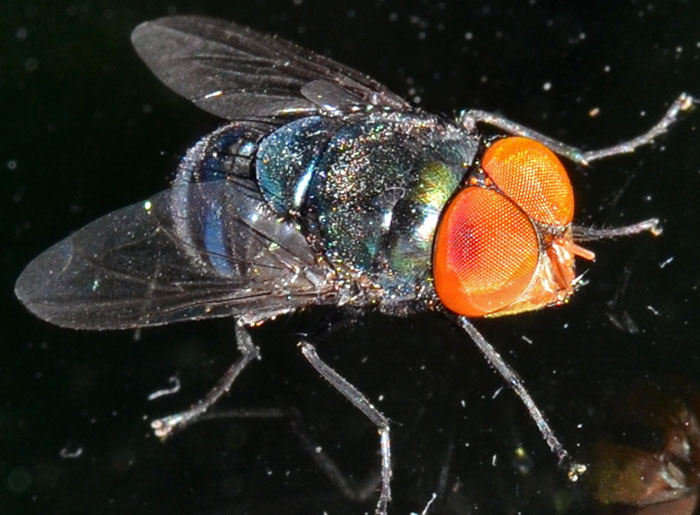 This fly is implicated in some public health issues; it can cause accidental myiasis (parasitic infestation of the body of a live animal by fly larvae).